Rooftop food growing has a growing interest. In general, rooftop farms or gardens, sit within the intensive green roof category. However, it is possible to grow herbs on extensive green roofs. For instance Allium species can thrive on extensive green roofs, especially chives. As with all intensive green roofs, their are challenges to growing food on roofs. Finding a roof with the right structural capacity and access are two key factors. 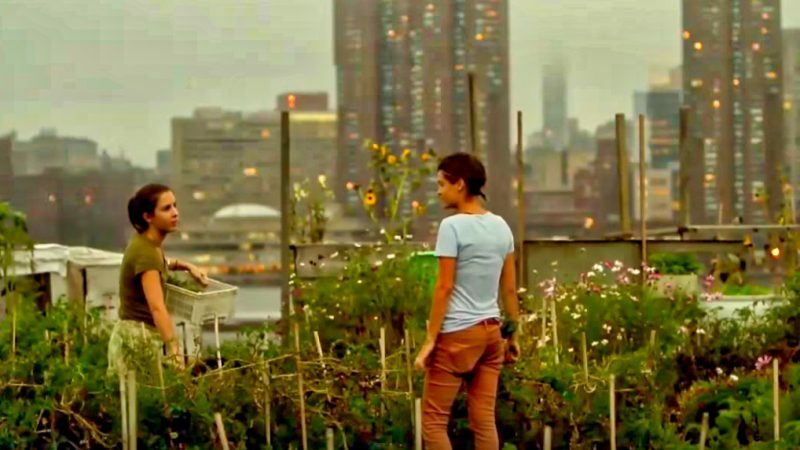 Although there are commercial rooftop farms, most are community driven. 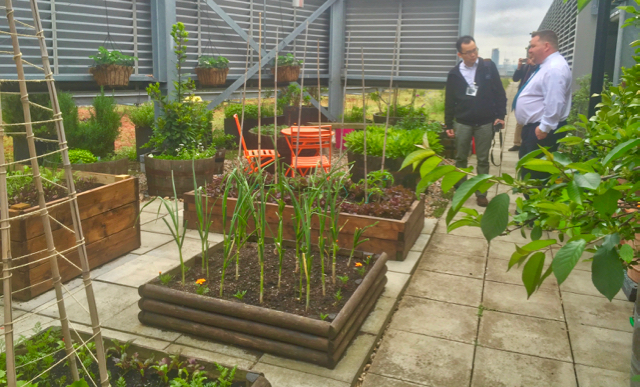 Many businesses in London, Paris and elsewhere in the world have created urban food growing areas for staff. Food can also be grow on a smaller scale on balconies and small roof terraces. This can provide urban dwellers with a chance to produce their own food and have contact with nature. Like with all green infrastructure in cities, this can increase health and well-being. Eversheds Ltd London – staff food growing area. There are a number of green roofs in London with small areas of food growing on rooftops such as Eversheds Ltd in the Nomurra in the city. Elsewhere there are some famous ones in the USA such as Eagle Street Farm and Brooklyn Grange both in New York. Urban rooftop farming is only likely to grow in the coming years, providing sustainable green infrastructure and produce wherever they are.